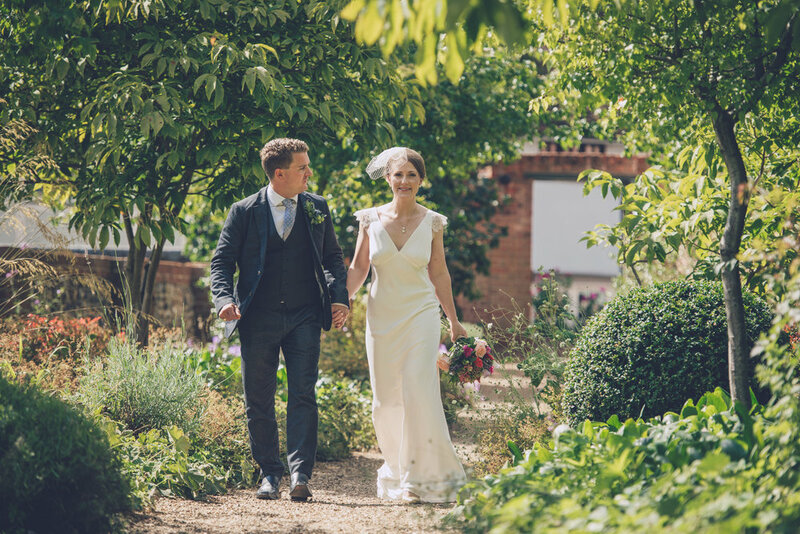 I had the pleasure of designing and making Sarah’s bespoke dress for her wedding in Essex to her long time partner Dom. Sarah wanted something elegant, simple and timeless. 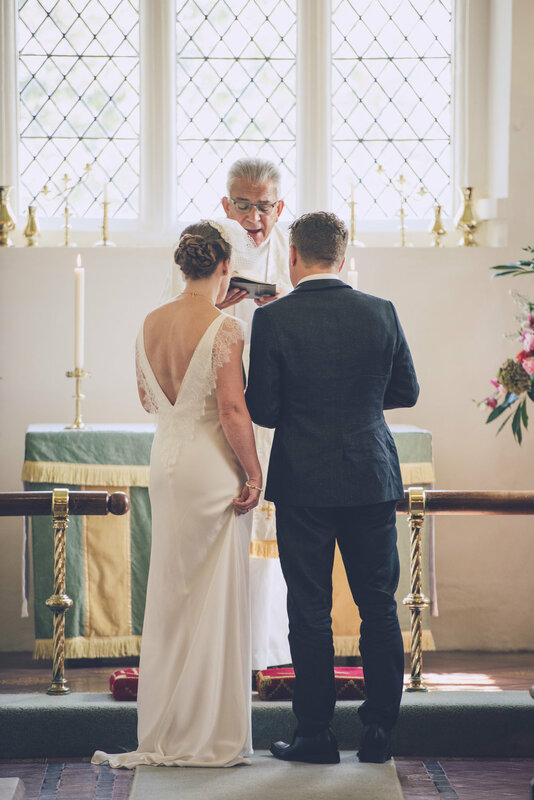 I designed a bias cut silk satin sandwash full length wedding gown for Sarah with a low front ‘V’ and plunging back. 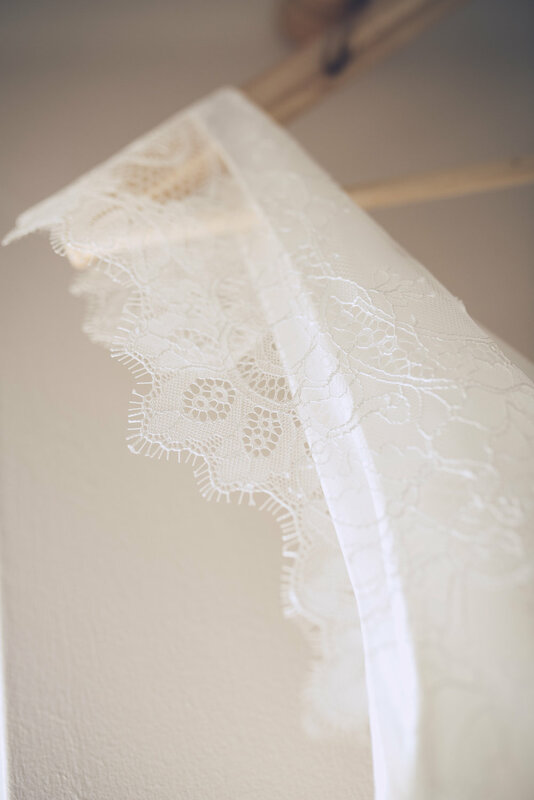 I edged the back with a delicate Ivory french lace trim which followed onto the shoulders softly. 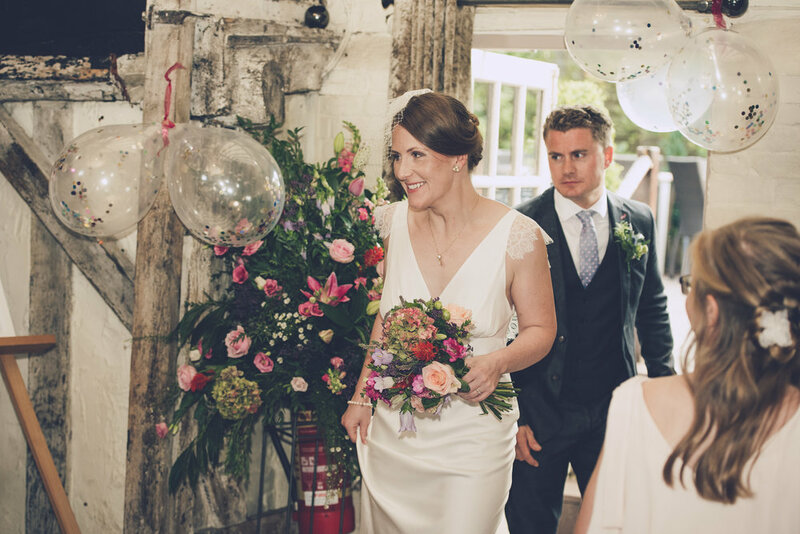 At the last minute Sarah decided she would like a veil adding to her outfit and so I designed and made her a birdcage veil with lace embellishment to match her dress beautifully. Her dress looked so lovely on her and they had a wonderful low key wedding day, finishing the night with a kebab in their local takeaway! 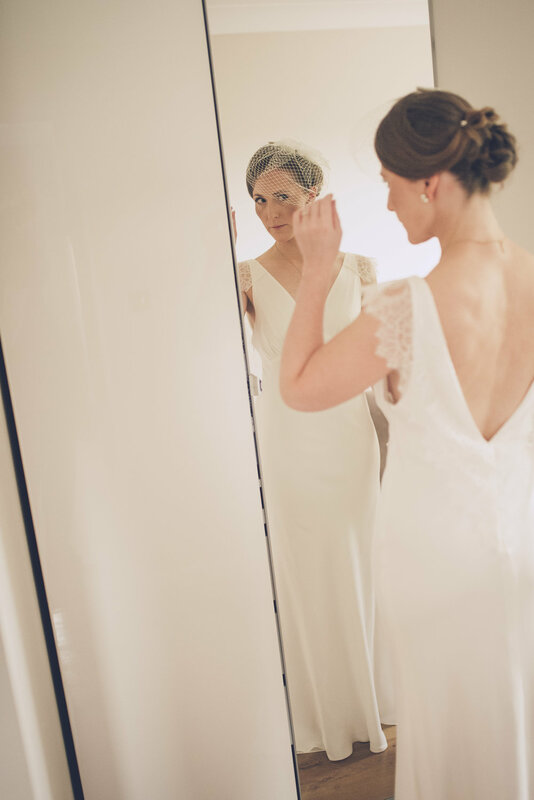 Luxurious bridal wear for the free spirited designed and made in Matlock, Derbyshire.